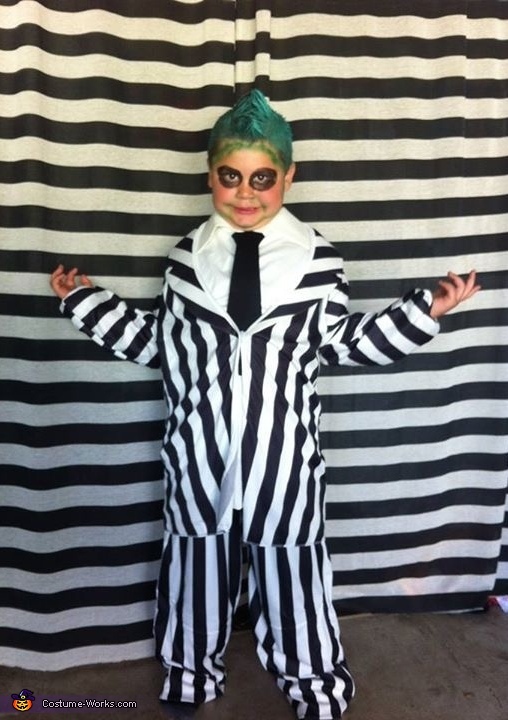 Noel 7 years old wearing BeetleJuice “The Ghost with the Most”. Noel absolutely loved the movie BeetleJuice the first time he saw it about a month before Halloween and wanted to be him to trick or treat. We even turned the garage into a BeetleJuice theme for his birthday party and made curtains as a backdrop for pictures. It was A lot of fun putting everything together as Noel helped make everything as well!